Eden Mill Distillery and Brewery is based Guardbridge, just 4 miles outside of St Andrews, and it originates back to 1810, when the Haig family first made whisky. Two centuries later Eden Mill continues to brew whisky and have added gin and beer to the collection. They are the only Scottish Distillery and Brewery rolled into one! Everything is done by hand and sourced locally. They are extremely passionate and proud of what they produce and quite rightly so! It really is a great day out! Eden Mill do not mass produce and believe on keeping it small. This is what allows them to create and keep the unique taste that belongs to their whisky. Small allows them to stay focused on the details that makes their whisky so special such as the selection of their casks. They describe their storeroom as being there ‘Storyroom’ where the casks and the whisky both mature with age. This where the cask club owners choose their casks, and from there, the story continues to unfold. Here you can choose from a range of award winning beers with quirky names. Each craft beer is brewed (as stated by themselves) to be ‘punchy’ and ‘exciting’. The barley is sourced locally and like the whisky is produced in small batches keeping uniqueness in the taste and quality. Golf Gin – this is actually flavoured with, wait for it…. retired golf clubs from the local golf courses! So if the above has wet your appetite for something to do on a wet day why not book a tour and take a trip down and visit Eden Mill Distillery and Brewery? Beer tours start off with a beer and Gin tours start off with a G&T and by the end of your chosen tour you will know how it all works and have sampled numerous delicious concoctions! 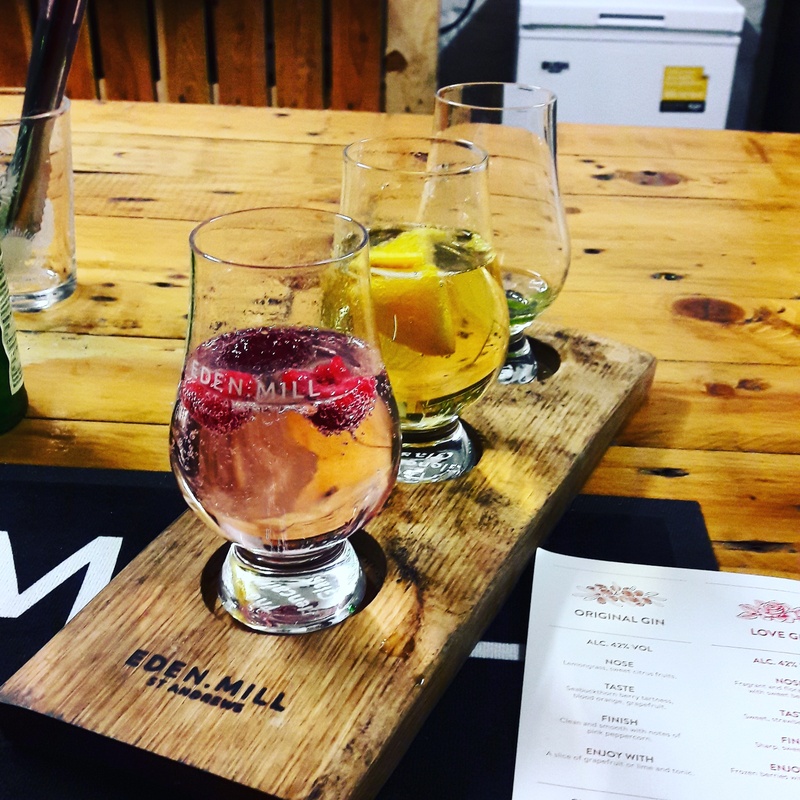 So if you are looking for a great day out in Fife you can add Eden Mill Distillery and Brewery to your list! If you are looking for somewhere to stay we offer touring pitches right next to the sea. We also have a selection of luxury lodges and holiday homes for sale. To find out more contact us on 01333 313 098 or email us here. Self catering holidays in Fife that will have you tipsy with joy!